Akuma is the supreme master of the fist! In celebration of the release of Street Fighter V, Kidrobot bring one of Street Fighter's main antagonists to vinyl form! This Street Fighter Akuma Vinyl Figure stands 7-inches tall and captures the character's unique features. 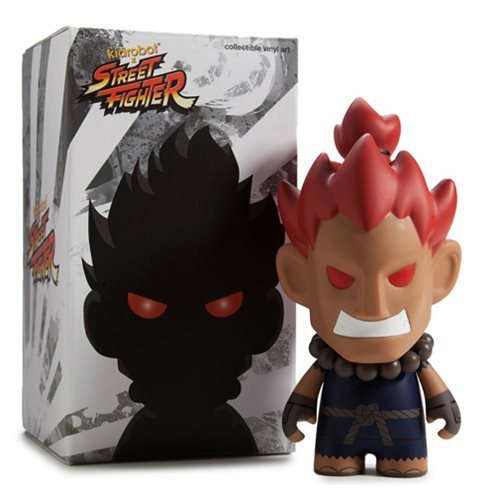 Make this Akuma Vinyl Figure a menacing addition to you Street Fighter collection! Ages 15 and up.